You can't have missed the news about new nuclear power stations recently. The Government decided to proceed with the first new nuclear power station for a generation at Hinkley Point C in Somerset. EDF Energy has just published plans for its second stage of public consultation for the proposed Sizewell C nuclear power station in Suffolk. The Environment Agency regulates nuclear power stations and other nuclear sites in England. We are working closely with the Office for Nuclear Regulation and Natural Resources Wales to ensure that any new nuclear power stations built in the UK meet high standards of safety, security, environmental protection and waste management. I manage the team of nuclear regulators who've been assessing the environmental aspects of Westinghouse's nuclear power station design, the AP1000®. We’re based in the Environment Agency’s Penrith office in Cumbria’s Eden Valley. NuGen are proposing to build and operate this design in Cumbria at a site called Moorside. If approved, it will generate up to 3.4 gigawatt (GW) of electricity, enough to power six million homes. Understanding and listening to the views of local people is important. The Environment Agency consults on permit applications and draft decisions for proposed new nuclear sites. 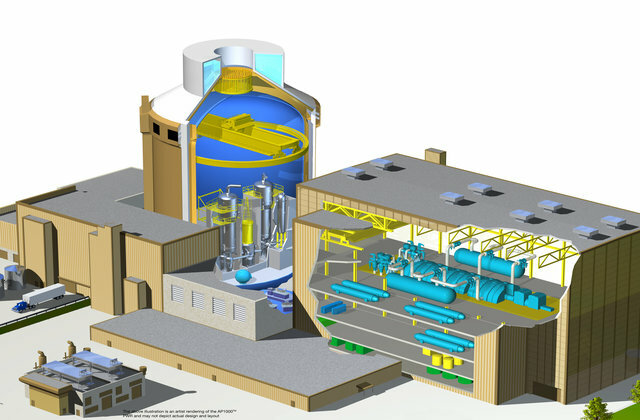 We also consult on our assessments of new nuclear power station designs. We're now reaching the end of our assessment of the AP1000® design and it's time to close the 'comments process'. Some of you won't know why or how we assess nuclear power station designs. And some of you may have seen the term 'GDA' in the news recently. We call our process a 'Generic Design Assessment' (GDA). It's all about scrutinising new nuclear power stations before they are built, identifying design or technical issues early and asking the design company to address them. And we think it's important for people with an interest in nuclear power stations or living near a site to get involved. We want people to understand what we do and what GDA is all about. We’ve already consulted on our preliminary views on the AP1000 design and now, in this final stage of assessment, the 'comments process' is still open until the end of November. When we start a GDA we ask the nuclear power station design company to set up a website and publish information about its design, invite comments and questions, and respond to those comments and questions. The 'comments process' is open for anyone to ask a question about the design. We'll also see the question and response. And if those comments are relevant we'll use them to inform our assessment of the nuclear power station. So if you want to ask a question about this design you've got until Wednesday 30 November 2016, which is around four months before we make our decision on the acceptability of the AP1000 in March 2017. 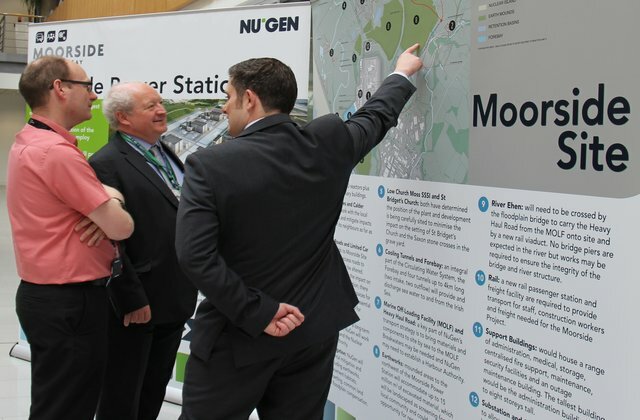 As NuGen takes forward its plans for the Moorside site we'll be attending meetings and events to answer any questions you have about our role - the permits needed to operate a nuclear power station, and how we regulate a construction site and protect the environment. You may have already met some of our team at NuGen's public events in the summer. Watch NuGEN's film about its consultation events.